Moving from one location to another may be one of the most traumatic events in life, short of death, fire or major illness. Yet, more and more families are faced with the need to change household locations. The wage earner(s) may accept a promotion which requires a change in location. Alternatively, the loss of a job may require downsizing or relocating. Some growing families also outgrow their current residence and must make a move to larger quarters. Other families accept the full-time care of an elderly parent and must move to a different structure to accommodate limited mobility. Once the decision to move has been made, other decisions must be made. One of the major decisions is whether to hire a mover to do the entire tasks of packing and moving items, or whether to reduce costs by taking care of some of the packing tips personally. For those people who decide that finances or other reasons require a substantial investment in packing for the move, here are some tips to make the job easier and safer. Most people do not realize how much “stuff” they have until it comes time to place it in boxes for a move on a specific day. The more people in the family, the more items which will need to be packed in preparation for moving day. If you have lived in one location for a lengthy period of time, you tend to accumulate more items which, if not packed, must at least be identified and sorted. Decisions must be made about which items will be discarded, donated or packed in preparation for the upcoming move. Prepare in advance as far as possible with an action plan for packing. The time to discard outgrown, worn out or unused items is before the packing begins. 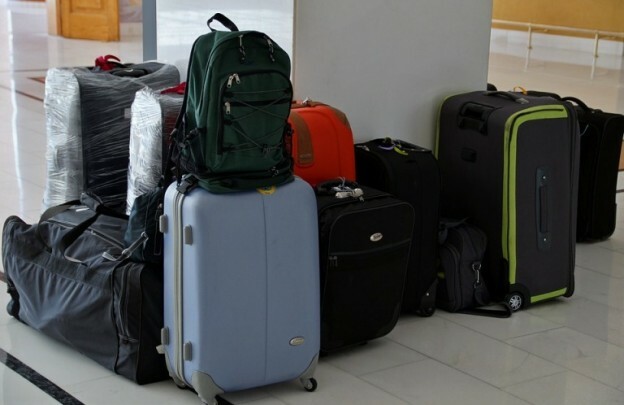 Reducing the number of items which will be packed will save packing time and costs for transportation of the boxes which are to be taken to the new location. As early as possible prior to the move, an all-out campaign to identify household items and clothing which are no longer usable for any of a number of reasons, should be undertaken. 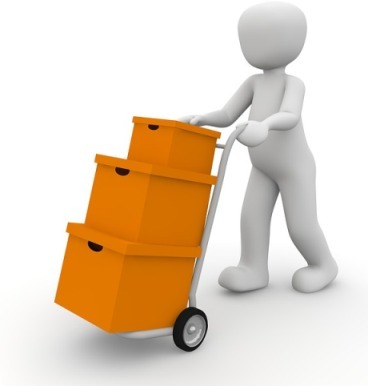 Have readily available bins which marked to contain items to be donated, sold or discarded. A staging area in the home should be set aside for placing items which are to be sold, either as individual advertised items or as part of a large “moving sale”. Every effort should be made to handle “for sale” items only once. Items which are to be donated should be placed in a separate staging area. If necessary, arrange for pickup of items by one of the agencies which accept donations. Pre-packing efforts are well-worth the expenditure of time and planning for a couple of reasons. First, selling unused items may offer some needed financial benefits. The reduced number of items to be turned over to the moving company will also reflect a cost-savings. You could also hire a company like MoveOurStuff to handle junk removal. Gathering the necessary packing supplies is a process that includes more than just stocking up on boxes. A list of supplies includes boxes, tags for labeling, markers, color coding dots, packing paper or padding. You may want to set up computer files to identify the contents of each box and its intended location at the destination. It is better to have far more of these supplies on hand than you expect to use. Over-abundance of supplies means you don’t have to stop in the middle of packing to go after supplies which have been used up. In addition to the boxes, you may want to have a tote that contains all of the small items which make up the packing supply needs. Other items which can be helpful include scissors, string or twine and bubble wrap. A carton knife is helpful. Confining items in a tote makes it easy to move supplies from one location to another as items are packed. It is crucial to have a selection of sturdy packing boxes in various sizes. Boxes are intended to serve different purposes. Pick the right box to hold clothing on hangars, for example. It is much easier to remove hanging clothing from closet rods and transfer them to the clothing boxes. At the destination, the clothing can be removed from the clothing boxes and hung in their new location. Packing dishes and glassware requires another type of box. Plates and platters should be packed flat, rather than on edge with protective paper or bubble wrap between each layer of breakables. Glassware should be bundled with protective packing between each breakable item. The bundle of five or six glasses can then be wrapped as a unit and placed within the box. This will protect from breakage and chipping of that set of china. Cutleries, especially sharp knives, are another item which requires special boxes. Such items can be fairly heavy in comparison with their size. Protection to avoid punctures of boxes and shifting of contents within the box is another tip to consider. For those people who have a sizable collection of shoes, you should not just toss them loose into the bottom of a box and fill up the box with other items. Instead, pack your expensive footwear in individual shoe boxes. You can use socks for padding around and inside the shoes in order to prevent wear and tear on delicate fabrics and leather. Artwork, mirrors and similar large framed items should be placed in special boxes which are designed to protect them from damage. A valuable piece of art or an ornate mirror needs special handling to prevent scratching or breakage. Small valuable items, such as jewelry and collectibles should be handled in smaller padded boxes. You may want to use jewelry boxes for the individual pieces and combine those within a larger box. For breakables and similar collectible fragile items, plenty of wrapping and padding materials and individual attention will help to protect against breakage. 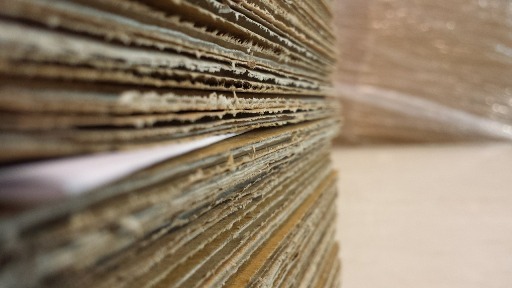 When choosing boxes and beginning the packing process, consider not only the size of the box, but the weight of the items which are being placed in each box. Books can be very heavy and dense, so trying to pack too many books into a large box will cause problems when lifting and moving the boxes. When it is time to start placing items in the boxes, planning and preparation applies here. Some of the tips might seem common sense. If you get rushed at the last minute, it is easy to just start shoving items into the nearest box. This practice will certainly create problems when it is time to unpack. Items of the same type should be placed in the same boxes. Mixing bathroom items with living room items, for instance, can cause confusion when moving into the new space. You will want to keep boxes from the same room together. This makes unloading much simpler and helps to find the highest priority items for unpacking first. When placing items into the packing boxes, place the heaviest items into the box first and pack smaller and lighter items in and around the heavy pieces. Placing the heaviest items at the bottom provides better balance when moving the boxes around during the packing process. It is important that you don’t leave empty spaces in the boxes. Empty space leaves room for the packed items to shift around, with the risk of breakage and rubbing. Use towels or small cloths to fill in spaces in kitchen boxes, for example. If you don’t take care with anything else while doing your packing, always be sure that each box is labeled and the contents are identified. As each item is placed within a box, it should be noted on the master list. A printout of the contents should be placed inside the box, and it should also be maintained in a computer list separately. Mark the boxes in a way that will identify the rooms where each box should be placed. Color dots or other designations are the easiest way to sort boxes. A red dot, for example, might indicate the contents of the box belong in the kitchen. The labels on the boxes should be placed on at least two places, the top of the box and the side of he box. A further breakdown of the contents of the box can be noted by the box number which is linked to the detailed list. So, when you are looking for a coffee pot that first morning in the new house, you know the item will be in a box with a red dot and you can look at the master list to see which box numbers contains coffee-making equipment. Use heavy duty packing tape to close the boxes. The professionals will tell you that you should tape each seam, top and bottom. Then wrap an additional strip of tape completely around the packed box for additional security. Boxes which are securely closed are less likely to pop open at an inopportune time. When taping, make sure you do not cover up the designation or color coding on the outside of the box. You will need to see that information readily when moving boxes from the moving van into the appropriate room. If you know you can’t get going in the morning without coffee, knowing exactly where to look for the supplies and equipment is preferable to opening box after box of lower priority items and scattering packing materials around. Don’t let yourself be side-tracked while packing. Ensure that each item is in a labeled box and packed correctly. If you take the time to pack and label correctly, the unpacking will go much more smoothly. As you unpack, mark off each item on the master list. This avoids losing small items or having your possessions be mislaid. A methodical labeling plan will permit you to approach unpacking and putting your items away in a much calmer and organized manner. 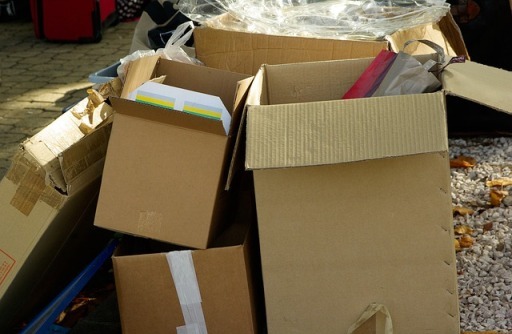 As each box is emptied and the contents put away, the box should be flattened and set aside in a nearby location. By doing so, you won’t get your household items mixed up with a stack of empty boxes and wrapping or packing papers. Some people choose to offer the boxes to others or to return them to the moving company.